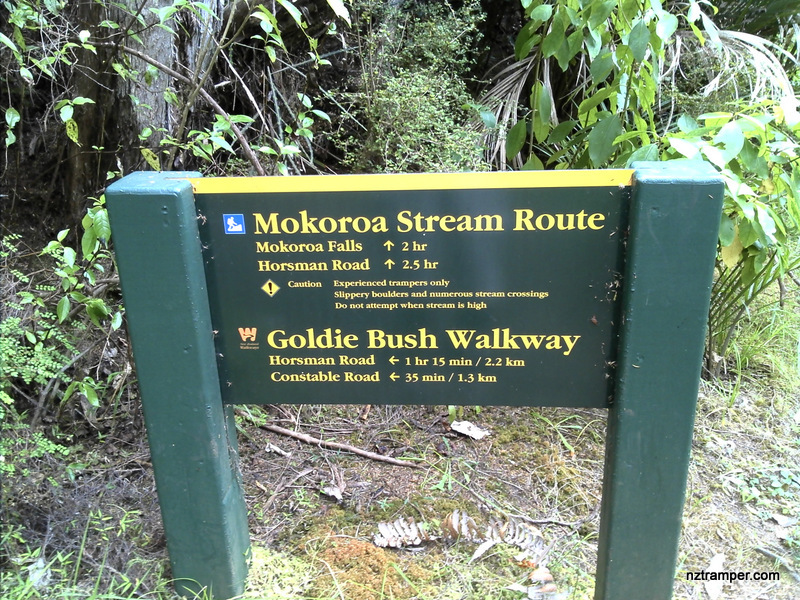 Trails: Goldie Bush Walkway Constable Road car park – Goldie Bush Walkway to the junction to Mokoroa Stream Track (Route) – continues on Goldie Bush Walkway to Mokoroa Falls Track (no sign post to indicates this track, only sign tells to Horsman Rd car park) – Mokoroa Falls Track to Mokoroa Falls Lookout – Mokoroa Stream Track – back to the junction to Goldie Bush Walkway – Goldie Bush Walkway to Constable Road car park. Car Park: Yes. Set “6 Constable Road, Muriwai, Auckland” in your GPS. 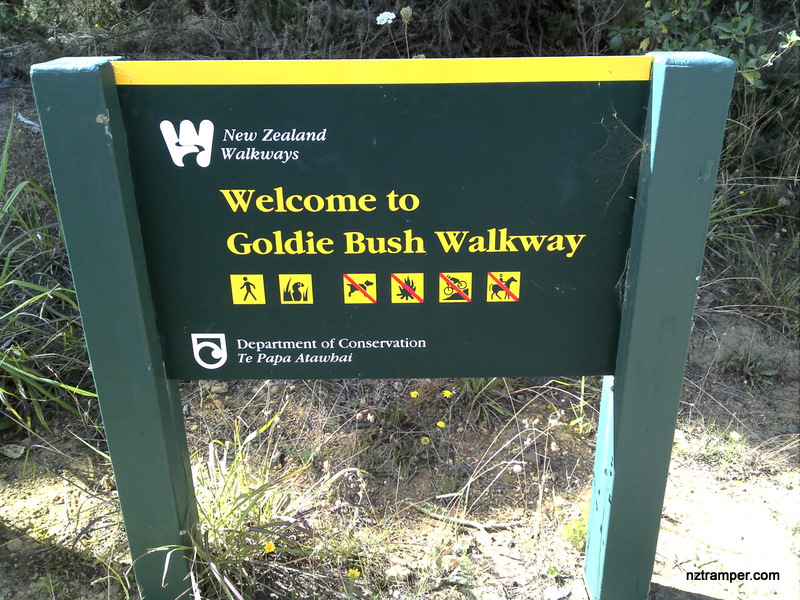 The Goldie Bush Walkway carpark is just in the corner when you turn into Constable Road. 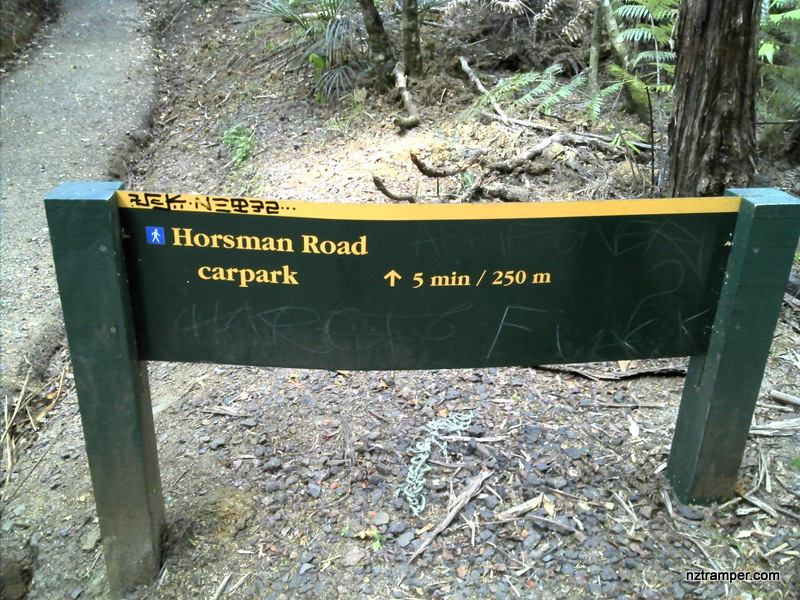 It’s bout 47km and 40 minutes drive from Auckland city center. The “Total Time” is my time in February which includes morning tea time and lunch time. That day was fine and the track was good. If you slow down to average 2.8 km/h plus 60 min stop then the total time will be around 4 hrs. 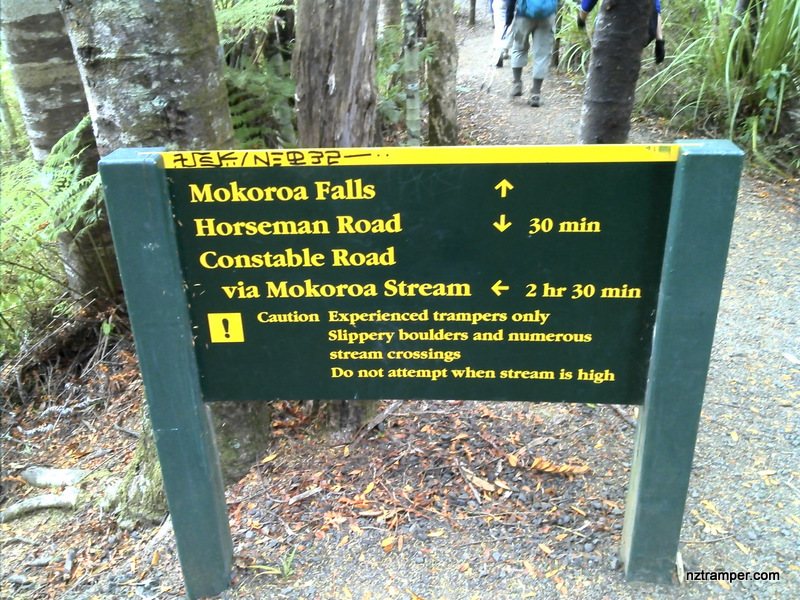 Excellent Tramping Track,thanks very much for sharing.